Shrapnel shells, filled with several hundred metal ball bearings, were designed to explode in the air over enemy troops, raining down a shotgun-like spray of metal. They were most effective when used against troops in the open. 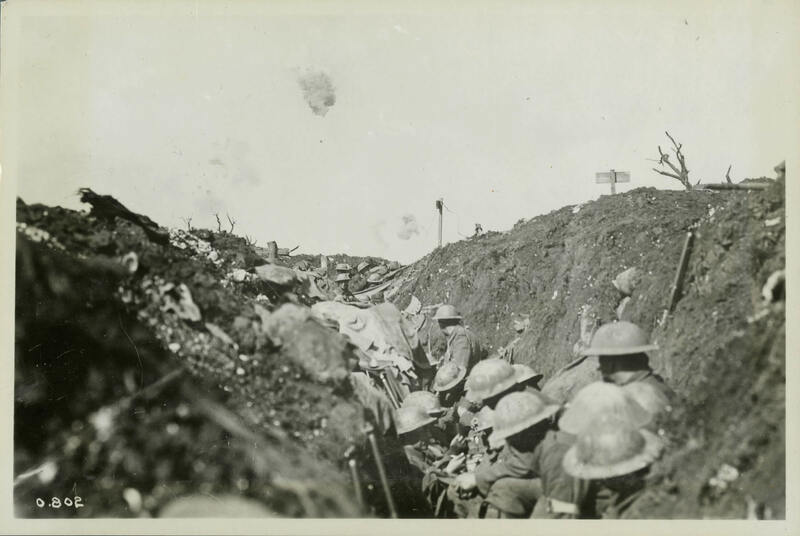 This photograph from September 1916 captures Canadian soldiers in a rough trench on the Somme. They seem relatively at ease despite the shellfire exploding nearby, suggesting either the common nature of shellfire on the Somme or that the official photographer has retouched the image adding shell bursts, as was occasionally done to augment a photograph.